Home | Mom | Family Health Concerns | What is Eczema? What are the symptoms? What are the treatments? There are different types of eczema – an itchy, flaky skin condition - but the commonest is 'atopic' eczema, which occurs in people with a family predisposition. People with atopic eczema, may also have other allergies such as asthma and hay fever. Eczema can strike with varying degrees of severity. For some people, it dominates their lives; for others it's a minor but irritating complaint. Atopic eczema can affect people of all ages, but is most often seen in susceptible children with the first year or two of life. Most children grow out of atopic eczema eventually, with the majority (around 65%) being symptom-free by the age of 16. It's thought that a combination of genetic and environmental factors can cause eczema, which often flares up in response to certain common triggers. These include: some soaps and detergents; house-dust mites; pet dander; pollen; central heating; certain fabrics; and skin infections. Stress can cause trigger an attack or make existing eczema worse, too. 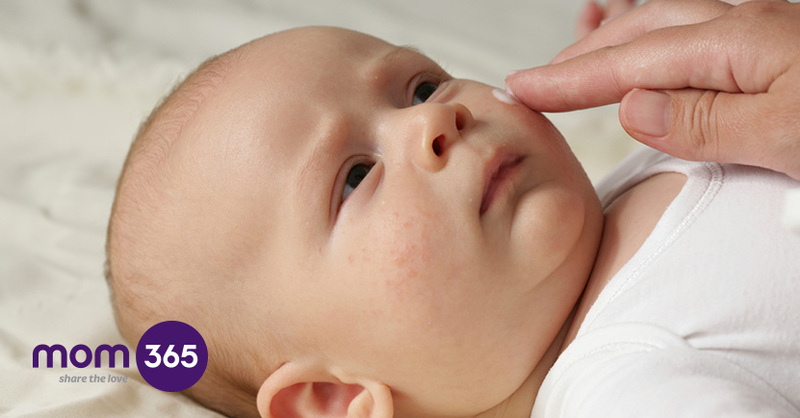 Other types of eczema include contact dermatitis, which is brought on by physical contact with certain allergens, and seborrhoeic dermatitis, a type of which is known as cradle cap in babies. There are other types of eczema, but these are rarer and usually occur in older age. Eczema sometimes improves in pregnancy and sometimes gets worse. There's no way of predicting which way things will go, but the treatment is essentially the same as for non-pregnant women. Itching is the main symptom of eczema, and it can be very severe, driving sufferers to distraction. The condition can come and go, but the skin tends to be dry and itchy even in between flare ups. The commonest places to find eczema is in the creases of the elbows and the backs of the knees, but it can crop up anywhere on the body. Seborrhoeic dermatitis doesn't normally itch or hurt, but is characterised by flaky, scabby patches, most commonly on the scalp. What are the treatments and remedies of Eczema? The degree of treatment required depends on the severity of the condition. Children who are very badly affected and unable to control the scratching, which can break the skin and lead to infection, may need to be wrapped in emollient soaked bandages, known as 'wet dressings'. This can be time-consuming and distressing for your child, but they are very effective in bringing relief. Emollients are special intensive moisturisers which come in the form of creams, ointments, lotions and gels. They help prevent itching and cracking of the skin, and can be applied directly to the skin or added to your child's bath in a special preparation. Used every day, emollients may be all you need to keep mild to moderate eczema under control. Most eczema sufferers are advised to avoid harsh soap products or perfumed toiletries, which can aggravate the condition. Topical steroids, which are applied directly to the skin are sometimes used in more severe cases of eczema. They have to be used under medical supervision and with care, as overuse of steroid creams can thin the skin. If you follow the instructions properly they can be a very helpful treatment and there is no cause for worry. Keep your child's nails short. If your baby has eczema, try anti-scratch mittens to stop them scratching their skin. Avoid the triggers if you know what causes a flare-up, and remember to continually apply the emollients even if the skin is clear as this may help to prevent the skin from having another flare up. This article is not meant to substitute medical advice provided by a practicing medical professional - if you have any concerns, contact your physician immediately.